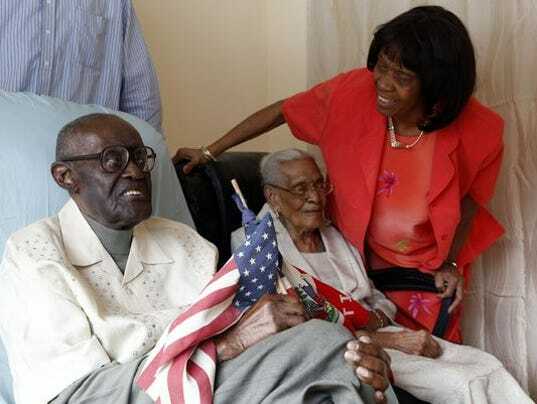 New York Man to Celebrate 108th Birthday With Wife, 104, After 82 Years of Marriage. A Spring Valley, N.Y. man celebrates his 108th birthday on Saturday with his wife of 82 years. And on her birthday in May, she’ll turn 105. Duranord and Jeanne Veillard were married in Haiti in 1932 and moved to the U.S. in the late ’60s. The couple raised five children and live at home with a daughter. They are grandparents to 12 and great-grandparents to 14. USA Today reports that the birthday boy starts each day with oatmeal, fruit and a cup of tea, and ends it with fish and vegetables. He is apparently still able to do five to seven push-ups daily.